Marriott International has announced it will introduce one set of unified benefits across Marriott Rewards, The Ritz-Carlton Rewards and Starwood Preferred Guest (SPG) for its members in August 2018. This will create an incredibly rich hospitality loyalty program in which members will earn more points faster than under the prior programs — on average 20% more points for every dollar spent. For the first time, members will have access to book stays and earn or redeem points among 29 participating global brands comprising 6,500 hotels in 127 countries and territories. Additionally, the Moments experiential platform is expanding, with more than 110,000 experiences in 1,000 destinations from must-see attraction tickets and tours for purchase with cash by all guests, to once-in-a-lifetime events only available to members using points, including the new bespoke Moments Live event series. 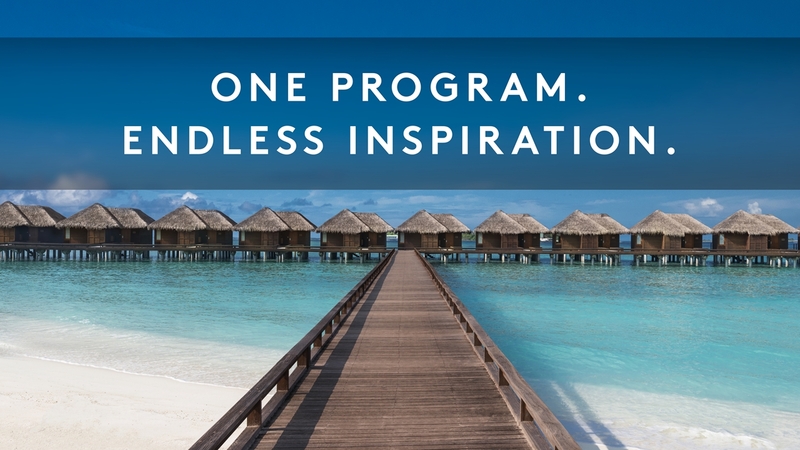 – We listened to the travel aspirations of our members and set our sights on unlocking the full potential of our loyalty programs, said David Flueck, Senior Vice President of Global Loyalty, Marriott International. – There are no more important customers than our loyalty members, said Karin Timpone, Global Marketing Officer, Marriott International. In August, members will be able to earn and redeem across the entire portfolio of participating hotels and earn elevated benefits and elite status faster with new elite tiers. For example, earning Silver elite status after just ten nights and Gold elite status after just 25 nights will become standard in all three programs. With Platinum elite status earned after 50 nights and Platinum Premier elite status earned after 75 nights, these tiers will become easier to attain for Marriott Rewards and The Ritz-Carlton Rewards members and align with SPG’s current offering. In addition, all Platinum Premier members surpassing 100 nights and $20,000 of spend will enjoy the highest level of personalized service – the popular ambassador program – along with all the other benefits in that tier. Members who have achieved Lifetime status will continue to have their status recognized. Under the unified benefits, a single points currency will be introduced. When SPG members combine their accounts in August, their points balance will triple. SPG, Marriott Rewards and The Ritz-Carlton Rewards members will all earn ten points for every dollar spent at all brands except for Residence Inn, TownePlace Suites and Element which will be five points per every dollar spent. With bonuses, elite members will earn even more for stays. In August, all members will begin earning points for food and beverage and qualifying incidentals on their folio, rather than just the room rate. Research shows today’s modern travelers value experiences over things. Marriott’s greatly expanded experiential offerings on Moments can be purchased with cash and do not require a hotel reservation. As an added benefit, Marriott Rewards, The Ritz-Carlton Rewards and Starwood Preferred Guest (SPG) members will earn points every time they purchase one of the new experiences. The 110,000 new Moments experiences in 1,000 destinations are in addition to the 8,000 exclusive, member experiences that only can be redeemed with points on Marriott Rewards Moments and SPG Moments. In the future, all Moments experiences will be available to be redeemed with points.